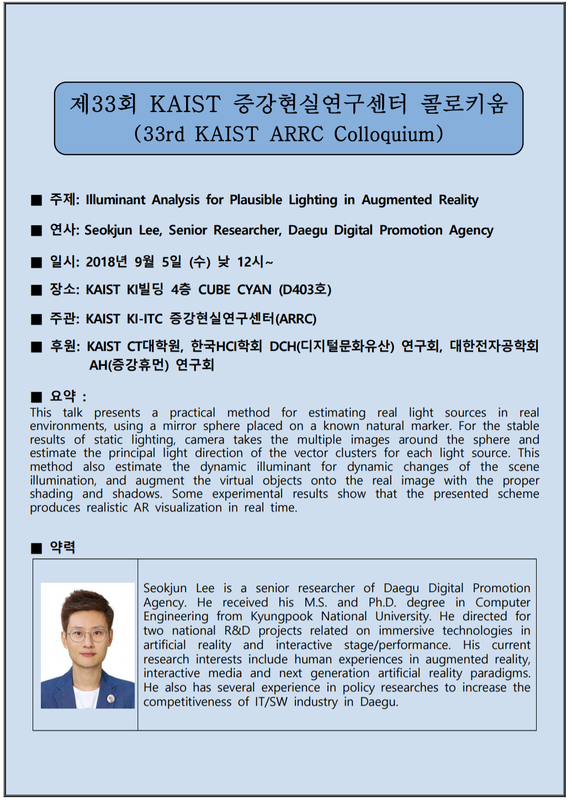 KAIST KI-ITC 증강현실연구센터(ARRC)에서 제33회 증강현실연구센터 콜로키움을 아래와 같이 개최되었습니다. using a mirror sphere placed on a known natural marker. estimate the principal light direction of the vector clusters for each light source. and augment the virtual objects onto the real image with the proper shading and shadows. Some experimental results show that the presented scheme produces realistic AR visualization in real time.